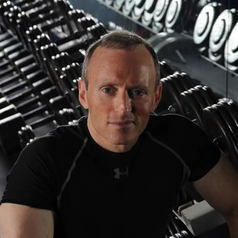 Dr. Brad Schoenfeld, PhD, CSCS, FNSCA, is is an assistant professor in the exercise science department for Lehman College and is the director of their human performance laboratory. Dr. Schoenfeld's research focuses on muscular adaptations associated with the manipulation of resistance training variables. He has published over 100 peer-reviewed journal articles, authored four book chapters, and authored the seminal textbook, "Science and Development of Muscle Hypertrophy." He currently serves on the Board of Directors for the National Strength and Conditioning Association and is Assistant Editor-in-Chief for their Strength and Conditioning Journal. In addition, he serves on the editorial advisory boards for the Journal of Strength and Conditioning Research, Journal of the International Association of Sports Medicine, and Frontiers in Physiology. Dr. Schoenfeld regularly speaks at many of the major fitness conferences, and has presented in over 30 different countries including the keynote address at the Fourth International Conference on Human Performance Development through Strength and Conditioning in Murcia, Spain. He looks at the effects of exercise on body composition with particular interest in muscle hypertrophy and fat loss. His research interests include muscular adaptations associated with manipulation of exercise variables; body composition changes associated nutrition and supplementation interventions; and alterations in muscle activation with different exercises.